Mormon Barn (North) - the historic old barns on Mormon Row are some of the most photographed barns in the country. The Mormon north barn and the T.A. Moulton Barn (South) are only about ¼ mile apart on the same road. The north barn has a different look than the south barn and is popular with photographers. 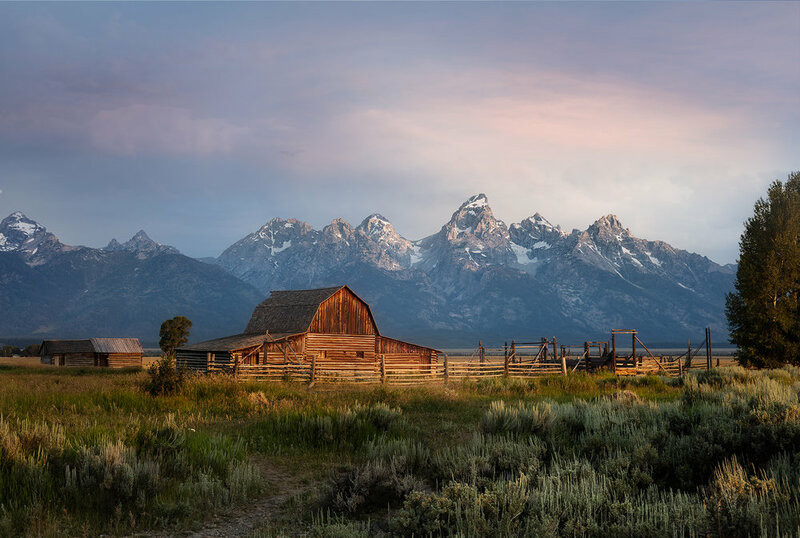 It has an old rustic western look with the Grand Tetons sitting right above the peak of the barn. There are tons and tons of ways to shoot the north barn: wide angle, from the side, way back, a compression shot, sunrise, midday, in the spring, or with snow.